Generally, there two types of hardwood flooring— solid and engineered. Whether it's a strip or plank, solid hardwood flooring is a single piece of wood, which can easily be customized and can be re-sanded to change finishes. Engineered hardwood, on the other hand, is made of 3 to 5 layers laminated together with grains running at different angles. There are different advantages for each type of floor. 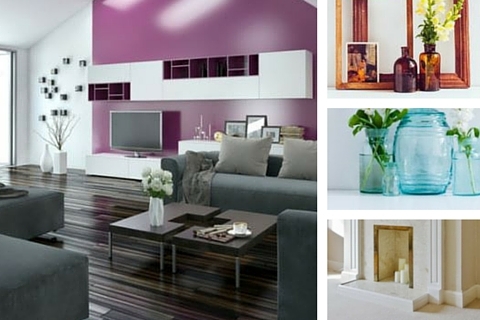 They will both give you a beautiful, natural look for your floors. In fact, once installed, you may have a hard time telling the difference at all. This can make choosing difficult. Here are the important facts you need to consider before you choose between solid and engineered hardwood floors. 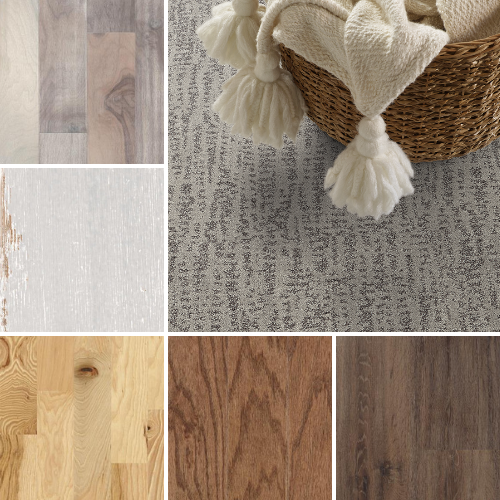 Find beautiful floors like these from Carpet One Floor & Home. Where your hardwood floors will be installed is a very important factor in choosing what is right for your home. Solid wood floors are only appropriate for above ground installation, so if you’re looking for flooring for a basement, engineered floors are clearly the appropriate choice. Solid wood floors are also more sensitive to moisture. Even seasonal changes in moisture can affect solid hardwood floors. You may notice that floors contract during drier months and expand when humidity is high. If you manage the humidity levels in your home well, this may not be an issue but it is something to be aware of. Solid wood floors may also not be appropriate for extremely moist areas of the home like a bathroom or even a kitchen. While engineered hardwood looks like solid hardwood, it is actually more structurally stable and can be used anywhere, even places like basements where moisture may be an issue. While both engineered and solid hardwoods come in many different species and styles, once you choose your engineered floor, you are committed to the stain color of your floors. Solid floors, however, can be sanded and re-stained many times over the lifetime of the floor. Refinishing floors is not an easy process by any means but it can be a more cost-effective way to change your look then buying new floors. Although most styles of hardwood floors – both solid and engineered - are timeless and classic, you may find yourself drawn to trendier stains and a desire to change your look more frequently. Remember, hardwood floors are very long-lasting. If this is the case, you may benefit from the versatility that solid wood floors offer. No matter which type of flooring you choose, properly installed and sealed hardwood flooring requires minimal care to maintain its good looks. Simply vacuum regularly and wipe weekly with a damp mop. And, since it's sealed it can't absorb spills, so it won't stain.